Are You Looking For Validation or Inspiration? These interactions, whether on social media or in real life, always make me uncomfortable. However, I think I’m in the minority. It seems that so many people gravitate toward this persona – the woman who isn’t afraid to be raw, unedited and bare-faced. Don’t get me wrong – I am not advocating that we body shame women who aren’t perfectly put together. Absolutely not. I’m not criticizing these women and I’m certainly not targeting anyone in particular. That’s extremely cruel and I have no intention or desire to hurt people’s feelings. I am, however, wondering what causes us to gravitate toward unkempt, bedraggled and messy looking women. 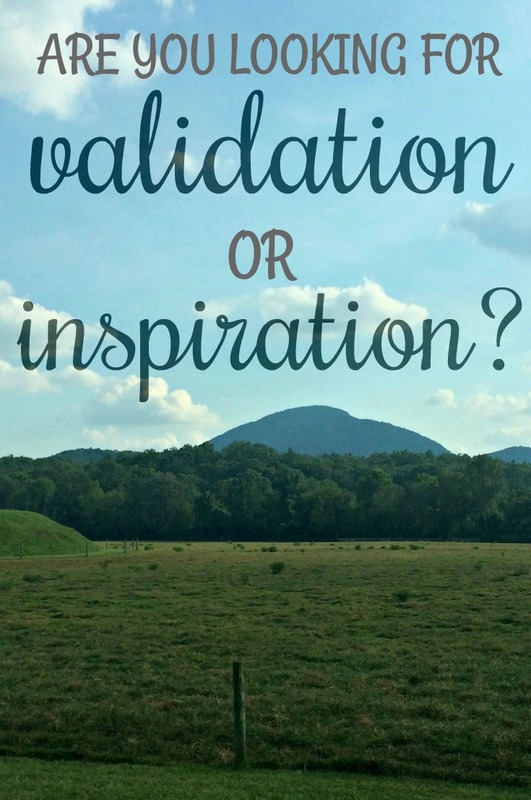 Do you want to be validated or do you want to be inspired? We all get out of bed messy, but we don’t have to stay that way. In this post I’m only talking about “messy” as it refers to our physical appearance. I’m not talking about the messy stuff of life that causes us pain and heartache. In particular, I want to talk about the difference between not caring about what people think and treating others with respect. Taking the time to make yourself presentable doesn’t have to be a selfish act. It can actually be an act of respect toward the people in your life. Think about this for a second – if you were going to meet the President or Queen Elizabeth, you would take great care to choose your outfit, fix your hair and make sure your face was at least clean! If you were meeting the Queen you might even spring for a manicure. Why? Because the offices those two people hold demand our respect. In the same way, when you take the time to make yourself presentable for your family, your social media audience or even the people at Walmart, you are giving them your respect. Find someone who inspires you. Let their behavior encourage you to rise above the status quo. Be an inspiration to someone else! Rise above the status quo and treat the people in your life with respect. I hope you can hear my heart in this post. Please know that I’m not for one second lashing out at people who do the “no makeup/bed head” confessional. I’m not talking about anyone in particular – it’s everywhere! I just want to encourage us all (myself included) to rise above, be respectful, and inspire others to do the same. Tell me someone who inspires YOU – and better yet, tell them how much they mean to you! Being presentable seems to be very hard for some people. I’ve noticed a lot of people (especially in the summer) who appear that they came to the grocery store/Walmart in their pajamas, hair uncombed (or just looks that way). I would feel very underdressed like that, but I don’t know their situation. I think society today has become extremely accepting in some ways and not so accepting in others. It’s an odd mix! I know some people like to be the center of attention, so maybe that’s why they don’t put as much effort into themselves….for effect, to see what happens. You had a major light bulb point for me there! Your statement that people do this for effect, to see what happens…I think you hit the nail on the head! It’s almost like “the squeaky wheel gets the oil.” I’m going to chew on that for a while. Thanks! I think that Lulu’s comment needs to be seconded. There are times that people have to go out in public when they don’t look their best. Perhaps they have a spouse or child that is sick, or perhaps they don’t have the money to fund an impressive wardrobe, or perhaps they are a single parent that needs to run to the store for diapers. Or perhaps they focused on looking good from the inside out, and just came from the gym, and in order to spend the most quality time with their family, they need to stop at the store on their way home instead of going home to put on make up, then venturing back out. It is not our job to judge other people on appearance alone. Perhaps that wasn’t your intent with this post, but there are certainly two sides to every story! You’re correct – that was not in the intent with this post. I clarified that I’m talking about people who say, “Excuse the way I look, but I just couldn’t be bothered” or “I know I’m a hot mess but I just couldn’t get it together today!” I’m not talking about people who are going through physical trauma or some extreme circumstance. However, I don’t agree that you have to have lots of money or an impressive wardrobe to look presentable. It is possible to be presentable and appropriate, even coming from the gym without makeup. Thanks for your comment! Well, I certainly understand perhaps not feeling well and staying in your jammies all day, but not putting yourself together as best as you can when going out of the house! I don’t go out of my house without hair combed and makeup. I think I’m disrespecting myself, my children and my spouse. Don’t make excuses!!! Take pride in yourself! You brought up an excellent point – your spouse and your children deserve that respect. Thanks! I am trying to see this side of the debate, but honestly?? I go out of the house all the time with no makeup and in exercise clothes. I don’t make any excuses for or comments about my appearance to anyone. My kids don’t love me any less (nor do I think I’m disrespecting them or my husband), and I hope I’m teaching them not to judge a book by it’s cover. I find it to be a bit of a slap in the face that someone would say otherwise about me. Not everyone feels the need to wear makeup every day, that doesn’t change who they are as a person. Hi Kim – I don’t think you’ve commented here before, so I’m not quite sure how to respond without really knowing who you are or what context you’re coming from. I made it very clear that I wasn’t criticizing people who make little or no effort to be presentable. I am, however, attempting to challenge our thinking by calling us (and myself) to a higher standard. It might feel uncomfortable – and although I’m not attempting to slap someone in the face – I can see how you might feel that way. I do hope you’ll consider my question and hear the heart of my post. No, I haven’t commented here before and I can see why you aren’t sure to respond. But I was, in fact, replying to a comment. A lady said that she won’t leave the house without makeup. She added that it is disrespectful to her, her children, and her husband. That kind of blows my mind?! You agreed that our families deserve that respect. I am simply arguing that wearing makeup has absolutely no part in respecting my family. That’s just my opinion, but I feel it’s rude to tell someone to have some respect for themselves and put on some makeup. I have plenty of respect for myself and my family without putting makeup on. I am so sorry! I think you must be a natural beauty as many women are. Seriously. No offense meant. I don’t know how to respond to “messy”. There are certainly times when we don’t look our best and that isn’t meant to inspire or to seek validation. It’s just the way of things sometime. I’m not a proponent of purposeful messiness. There are definitely times when we don’t look our best, even despite our best efforts. Messiness does happen – and I love having role models in my life who acknowledge that fact and show me how to overcome it. We can’t always avoid it, but we can overcome it. Thanks for your comment! I really enjoyed this post and have read it a couple of times! I think I want both… to be validated in my current stage of life AND be inspired. 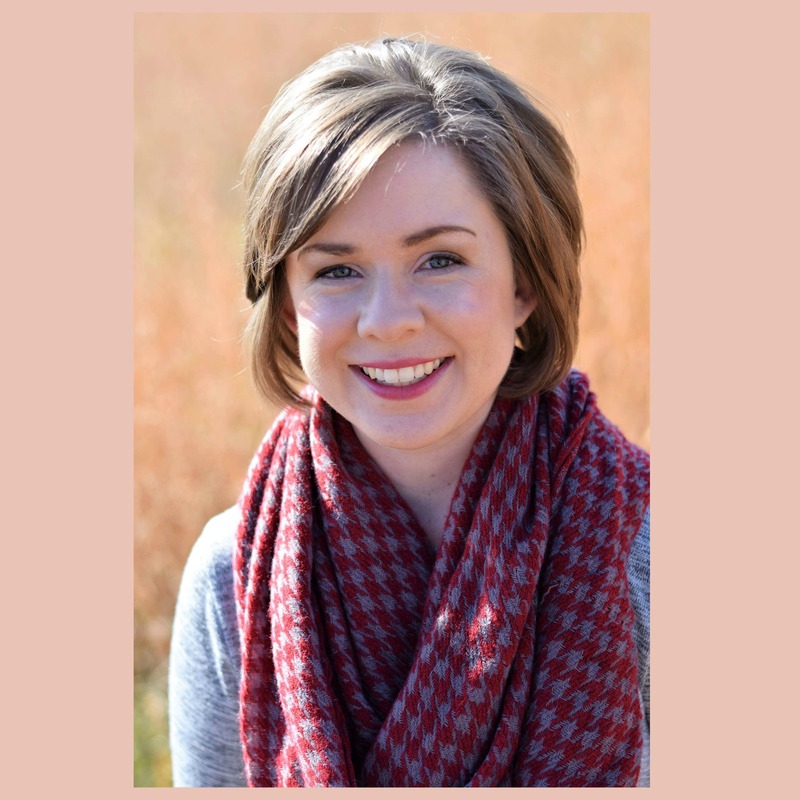 I’m a SAHM mom of two little ones and life is busy, messy and chaotic a lot of the time. I love to be tidy, organized and put together most of the time. So for me, it’s all about finding a balance of looking presentable and feeling good about myself. I love to follow other women on social media who are inspiring so I feel encouraged after scrolling through. I also appreciate a balance of inspiration and authenticity through the highs and lows of life. I own yoga pants that have never been to yoga, but they have been to the playground and grocery store. I have some cute workout outfits that are great for playing with my kids. I feel good in them and they allow me to really enjoy my life with my kids. I tend to put together cute outfits over cute workout outfits because that’s how I prefer to dress. So I just remind myself that everyone has a different comfort level of dress and different schedules they’re managing. I like to do my hair, my make up and put some thought into the clothes that I wear every day. I grew up dressing up regularly so I tend to lean towards dressing up a bit for outings. Sometimes I get comments from friends asking how I have time to get ready every day. The truth is that it is priority to me and I feel my best when I put effort into pulling myself together for the day. I also like a really tidy house, but it’s impossible to keep everything tidy all the time. I give myself lots of grace and reminder that I’d love to be thought of as the woman who is always baking something yummy to share rather than the woman who has a perfectly clean kitchen. The same thing is true for my appearance. I’d love for my smile, my encouraging words and positivity to outshine any outfit I’m wearing. I love your take aways… be inspiring AND look for inspiration from women around you!! You’ve got me thinking and wanting to scroll through my social media feeds to look for some inspiration today. Thanks, friend! I think I’m right here with you. I want a balance of both especially in my season of life. Becky – that’s a great point. As your season life changes, what you need to be “presentable” definitely changes. I couldn’t agree more with what both of you said but this is so me! I have a fine balance but I have to say I’ve came far from the old me who would hide behind the “hot mess” attitude because I was struggling keeping it all together. Stephanie – we are all a work in progress. You have inspired me to rise above my status quo in the area of weight loss. You acknowledged the problem and showed me (and others) how you were working to rise above it. Thank you for that! 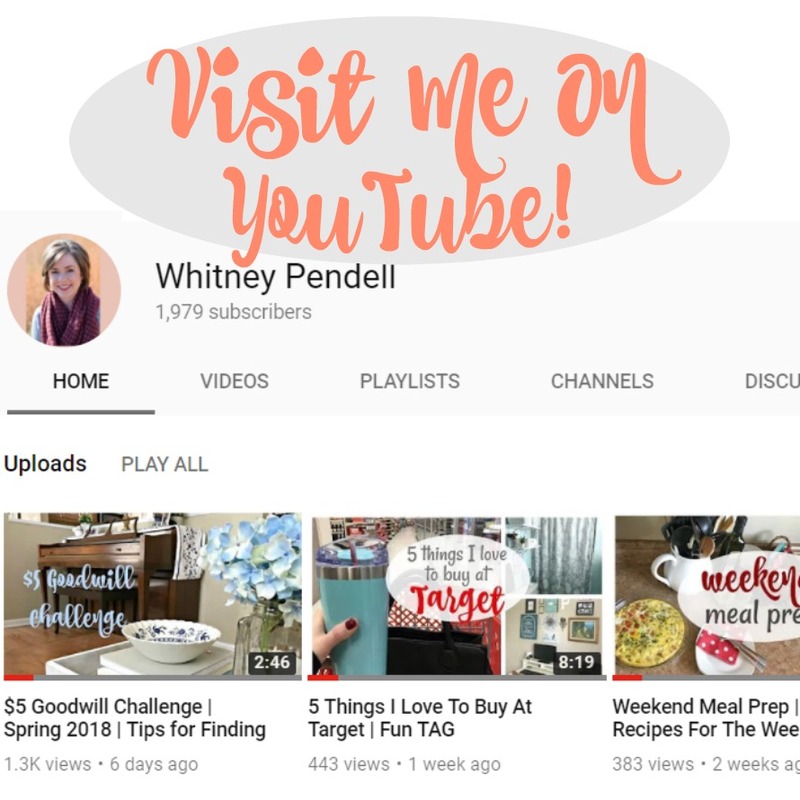 Whitney – I really like the way you thought through what I shared. Your effort to be comfortable yet appropriate is exactly what I’m talking about in someone who inspires ME! You acknowledge that trying to keep up with two busy ones at the playground might cause you to work up a sweat, so you choose something that you feel good about wearing but is still practical for the situation. A lot of adult life is hard work, making good decisions and finding that balance between authenticity and inspiration. 3 cheers for you!!! I’ve read your blog for about 2 yrs now and have enjoyed it so much. Thanks for inspiring me to keep trying to improve. You’ve got that right – this was not an east post to publish! I love your statement that people try so hard to push against perfection and end up missing the whole point.